? ?70% OFF?? Full, Beige ONLY! $3.81 AT CHECKOUT! - Possible Glitch!
? ?70% OFF?? Full, Beige ONLY! $3.81 AT CHECKOUT! – Possible Glitch! FEEL THE DIFFERENCE - Sleep better and wake up each morning feeling refreshed and full of energy. 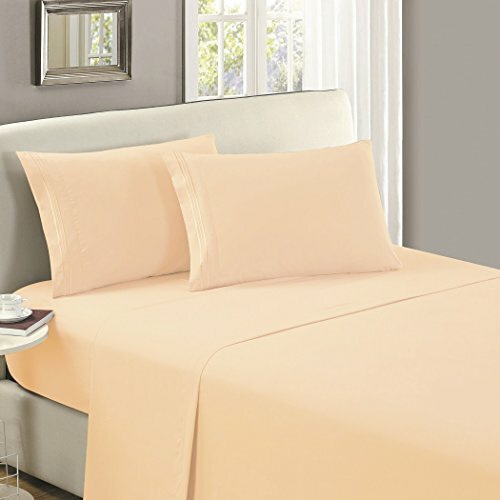 Silky soft, most comfortable and luxurious flat sheet you can find. Best for any room in your house - bedroom, guest room, kids room, RV, vacation home. Great gift idea for men and women, Moms and Dads, Valentine's - Mother's - Father's Day and Christmas. Full Size Luxury 1 Flat - Top Sheet - 81"x96".